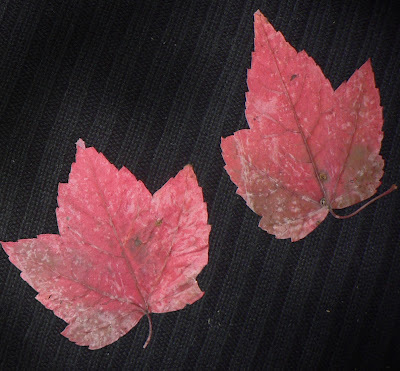 Two dried and pressed red maple leaves. 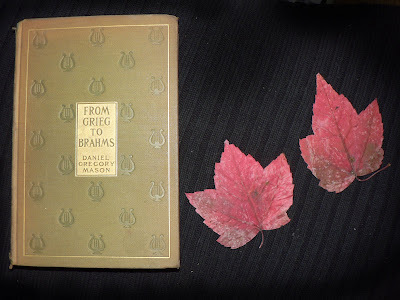 Found in "From Grieg to Brahms" by Daniel Gregory Mason. Published by The Outlook Co., 1902.